Experience the Home Team Advantage™ with your local Reliance™ Thunder Bay team of skilled professionals. At Reliance™, your comfort is truly our calling. That means we're always committed to delivering you a best customer experience, including 24-hour call support – so we're always there when you need us. Rely on us to help you find the right system for your family’s needs, as well as a full range of expert services to keep your home comfortable, like preventative maintenance, regular tune-ups, repairs and more. Our #1 goal? To become your destination of choice for home comfort products and services, ensuring that you and your neighbours feel comfortable at home, at work and in our shared communities in and around Thunder Bay. Hi, my name is Robert Jankovic and I’m the Regional Sales Manager for the Reliance Thunder Bay branch. I’ve worked in the heating and cooling industry for over a decade alongside my family and now it’s an honour and privilege to work with the team at a world-class organization like Reliance. I’ve been a lifelong Thunder Bay resident. I went to Lakehead University, I’ve coached in Thunder Bay Minor Hockey Association and serve on the Board of Directors at Copperfin Credit Union, the largest local credit union. I’m proud to call Thunder Bay home and look forward to meeting all the Reliance Home Comfort customers in my region. Please feel free to reach out to me anytime at 807 626 1943 for all your heating and cooling needs. My name is Vince, and I am a Home Comfort Advisor for Reliance. I have been in Thunder Bay all my life, and have a wonderful family, including my wife and two boys. My goal is always to put the customer first and to provide a solution rather than just making a sale. Your comfort is my top priority and I will do everything I can to find you the right solution to your heating, cooling and hot water needs. Hi, I’m Phil. As a lifelong resident of Thunder Bay, I consider it my responsibility to service our customers with the upmost respect and consideration. A part of the HVAC industry here in Thunder Bay for more than 10 years, I'm proud to offer Reliance customers expert service, sales and installation every day! And I'm always available to answer any questions you have, so give us a call! Hello, my name is Jamie Kuzminski, I’m a Home Comfort Advisor for Reliance Home Comfort in the Thunder Bay area. I was born and raised in Thunder Bay, and have over 25 years of experience helping customers make informed buying decisions that are right for them and their families. I enjoy the sales process at Reliance, giving customers all their options and helping them to make the right choice for their home and budget by removing all the sales pressure and focusing on what’s right for each customer’s unique situation and needs. I look forward to helping you explore our full home comfort solutions and finding the heating, cooling and hot water products to meet your needs. At Reliance Thunder Bay, we aren’t just a team, we are a family. We often sponsors groups that our team members are involved with, whether it’s a family member’s hockey team, school play, diving club, or charitable golf tournament. With 30 team members, we’re a part of the fabric of Thunder Bay, and will be for many years to come. 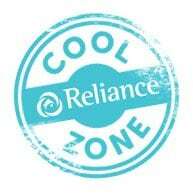 Keep an eye out for the Reliance Cool Zone, coming soon to local events around the city. The Cool Zone is an inflatable misting station that we provide free of charge to local events and charitable organization for those hot summer days, where escaping the heat is a challenge. Reliance Thunder Bay team members are proud to roll up their sleeves, put on hard hats and safety shoes to hammer nails and paint walls, so that deserving families in and around Thunder Bay can afford a comfortable home. .
"I have been getting some quotes on a new furnace. By far my best experience was with Reliance Home Comfort. My salesperson Vince Chambers was extremely knowledgeable and had a no pressure sales approach that was comforting experience. He actually showed up on time that was not the case with other companies. I will definitely be dealing with reliance for my furnace purchase and telling all my friends." "Service tech was super helpful, and answered all my questions. Thoroughly checked that everything was working properly before leaving and the furnace is working like a dream! Highly recommend the service plan for furnace/AC. Saved myself over $1,000." "Had Randy Breiland come for a service call – very professional! Quick and efficient! Would definitely recommend! Fixed the problem in an appropriate amount of time and explained thoroughly the problem and the solution." "I called the 1 888 # to request service on my rental hot water heater, the customer service representative was polite and helpful and we arranged for a service call between 1pm and 5pm. The repairman (Cameron Alkins) was here just before 1pm and was very knowledgeable and professional he fixed the tank and made sure I was familiar with how to use it."